This case is your quick ticket to luxury, without the hassle of researching our catalogue of quality. For your Naked winemakers to craft true Top Shelf quality, every moment in the vineyard, every test in the lab and every ounce of their intuition is vital all the way from vine to bottle. 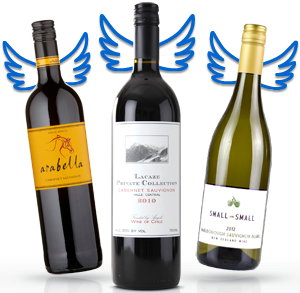 The selection includes some of the newest wines to hit the website, so you can be sure you're getting the latest and greatest before the small batch vintages run out!